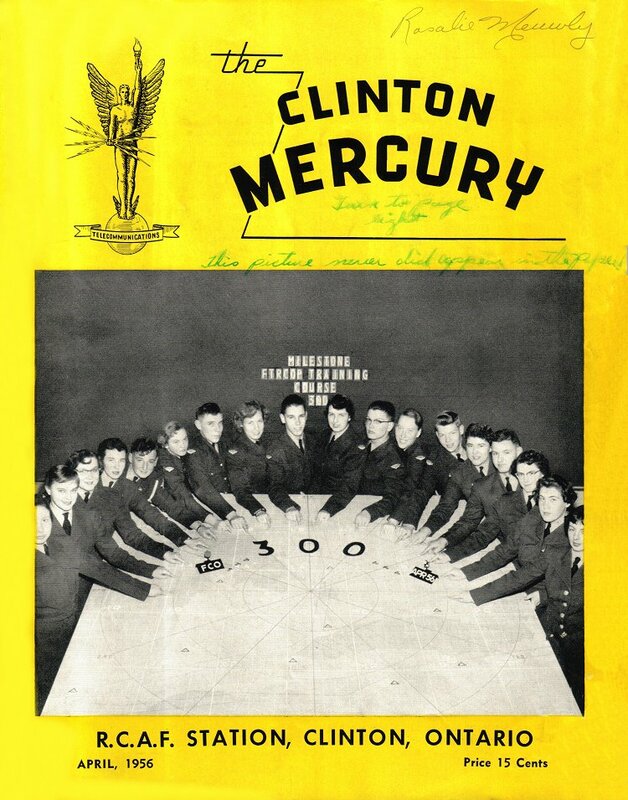 Front cover of the Clinton Mercury magazine - April 1956. Courtesy Rosalie Marie Meuwly (now Dawe). 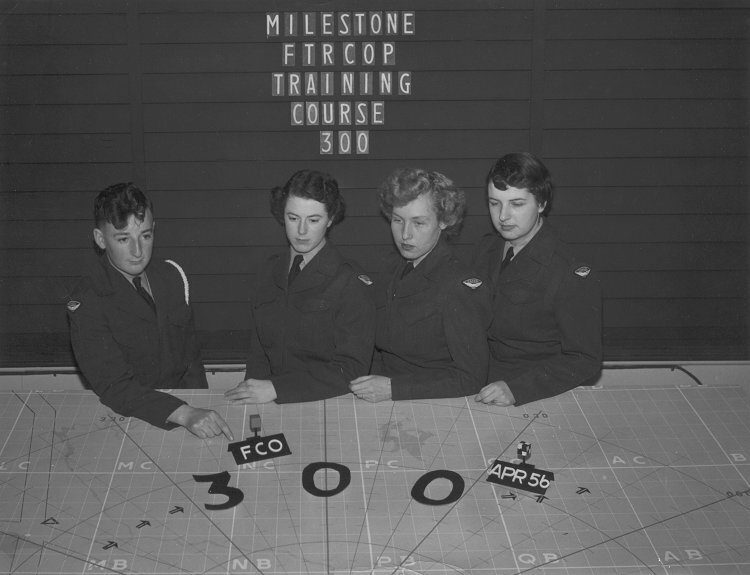 Public relations photo for FCO Course 300 - April 1956. (L-R) Bernie Ongo, Rosalie Meuwly (Dawe), Sandy McIntosh, Freda Ferguson. 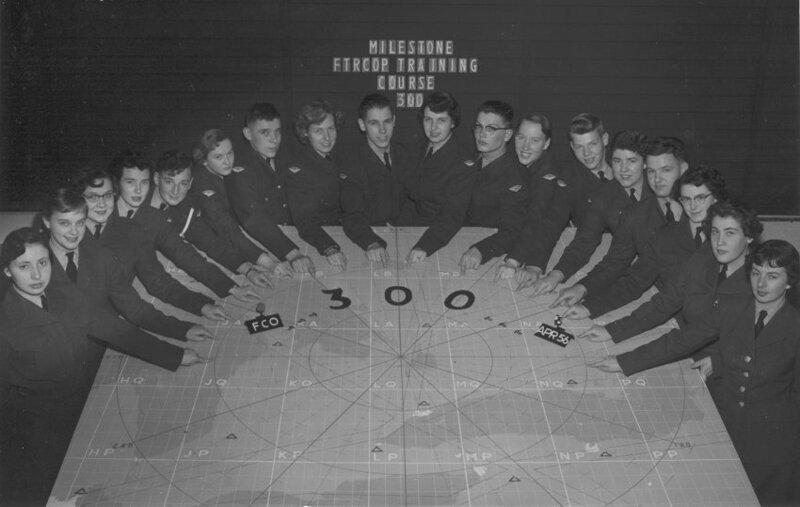 (L-R) - Margaret Daniels, Rickey Braun, Rena Thompson, Mary Bracket, Bernie Ongo, Beverley McPhail, Donald Schultz, Sandy McIntosh, Marty Brochet, Rosalie Meuwly, Bob Morton, Eleanor Turrill, Ronald Lawson, Beverley Innis, Alex Brown, Freda Ferguson, Inez "Connie" Conrad, Beverley Easom. 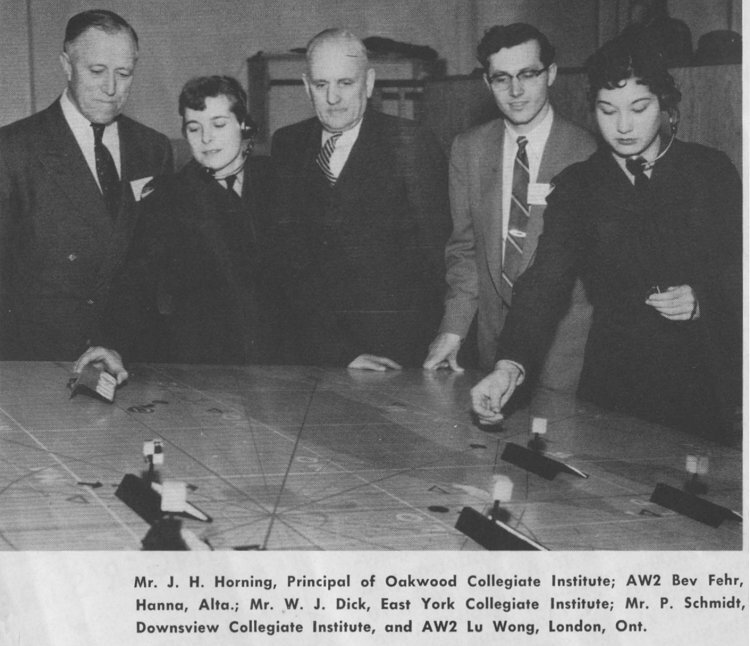 Larger image of the previous photo - April 1956. 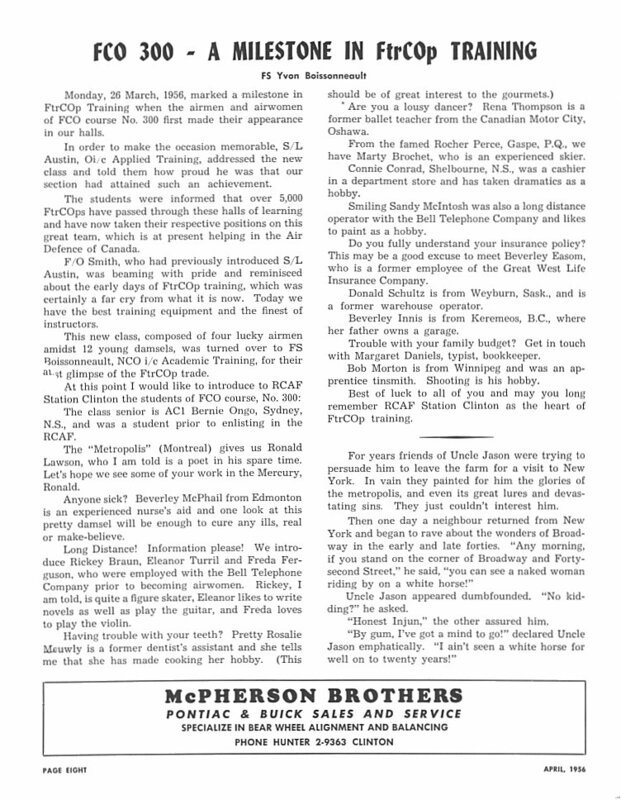 FCO 300: A Milestone in Ftr Cop Training, page 8 - April 1956. Clinton Candids, page 13 - April 1956. 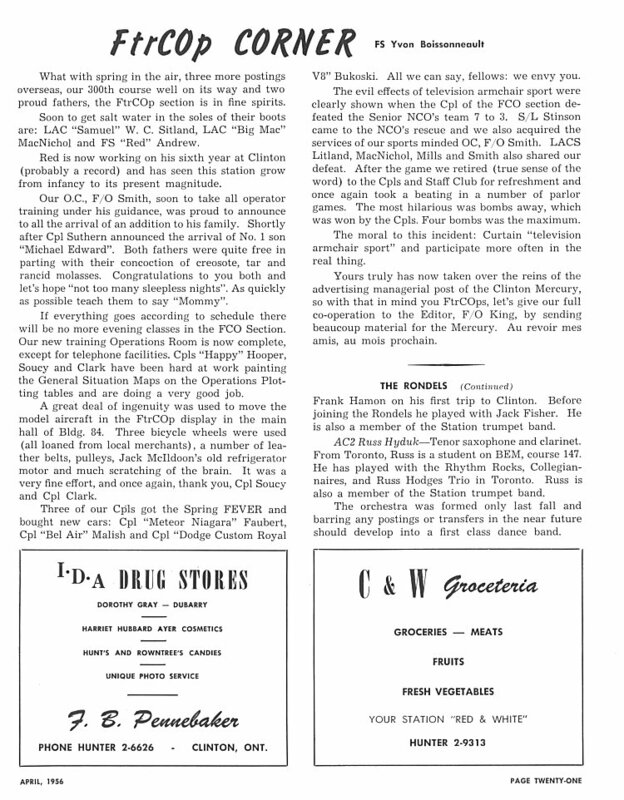 FtrCop Corner, page 21 - April 1956.